Eventbrite (NYSE: EB), a global ticketing and event technology platform, and Brisbane’s The Happy Horsemen have signed a long-term partnership. This agreement will see Eventbrite appointed as the exclusive ticketing provider for live music venues The Brightside, Black Bear Lodge and The Valley Drive In, as well as newly-launched Melbourne venue, Stay Gold. A formidable presence on the Brisbane alternative music scene, The Brightside hosts a regular line-up of local, national and international acts, including an assortment of Brisbane’s best emerging and established artists. Nearby, Black Bear Lodge is loved by locals and visitors alike for its unique speakeasy vibe and diverse musical roster; while across the road, 900-capacity venue The Valley Drive In is fast building a reputation as one of Brisbane’s premier outdoor live music spaces. With plans to grow in Australia and beyond, The Happy Horsemen’s Jesse Barbera and Ben Turnbull were looking for an innovative ticketing and technology solution that could take their business to the next level. “Eventbrite was the obvious choice,” said Barbera. “I can’t say enough positive things about the Eventbrite team and platform. Our decision to partner with Eventbrite has given us the confidence to continue our growth in the live venue business, knowing we can provide a top-tier ticketing solution that will help our partners sell tickets, and offer our customers the easiest and quickest solution to finding their favourite gigs,” he said. 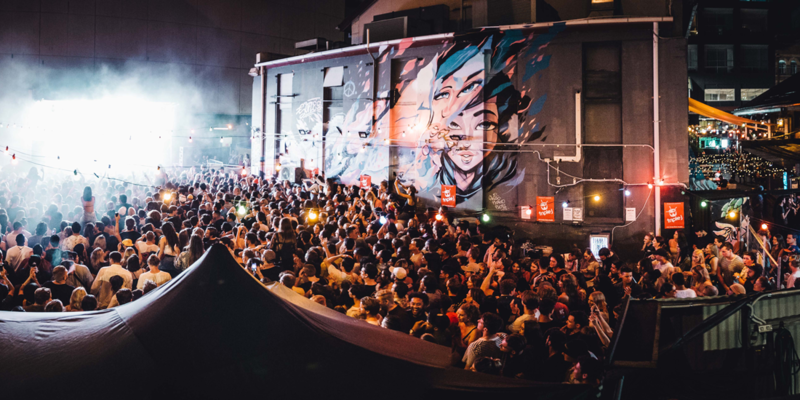 Chris McDonnell, Head of Music Partnerships at Eventbrite Australia and New Zealand, said he was pleased to welcome The Happy Horsemen’s portfolio of live music venues to Eventbrite. “We’re thrilled to be partnering with such an ambitious and well-regarded team as The Happy Horsemen,” McDonnell said. “Jesse and Ben have an innate understanding of what music fans want, and an outstanding track record running some of the country’s most unique and exciting live music venues. Join the world’s most powerful platform for independent music. Learn more here. Lia manages communications in Australia and New Zealand for Eventbrite.